The Joy of chartering a Feadship - explore how it feels onboard this brand new 70-metre beauty. 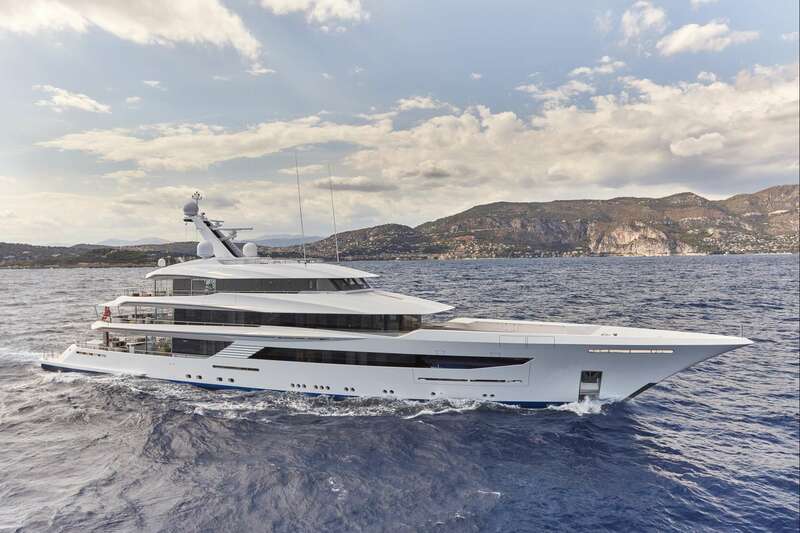 She is the first superyacht with an exterior designed by Bannenberg & Rowell. Her interior was designed by Studio Indigo - their first superyacht project. Joy sleeps twelve guests in seven double and one twin guest room. A crew of seventeen will take excellent care of you and your charter party. Facilities include a BBQ, a beach club / disco and there's an onboard masseuse.